I’m not much on retrospective second-guessing. I believe all things work together for a reason. Although my major choice did not lead to a full-time career as a counselor, I’ve certainly used those skills through the years dealing with parents and students in the educational field. It proved to be beneficial, just not in the way I had expected. It’s counterproductive to obsess over and wallow in regret of our past decisions. Doing that only leads to emotional pain. It produces doubt that can lock us down when making current decisions. However, it is a productive use of our time to evaluate the past so that we can make better and more informed decisions in the future. Should I have conducted a deeper evaluation when making the decision about which career path to pursue? Probably. There were so many angles that weren’t properly dissected. So, if I could face my 18-year old self again, here are some things I would suggest for him as he tried to figure out how to choose a career. These are the suggestions I’d give anyone who asked me how to choose a career. The first step in how to choose a career is to figure out what you really want from it. After all, it is going to lead you somewhere. Will you be content if it provides for your family? Or are you focused on climbing the corporate ladder, and willing to postpone family commitments for a time? Do you want to lead a company, perhaps being an entrepreneur who starts their own business? How about a career that gives back to the community? Will it be a dead end career or is there an avenue to change course should it become necessary to alter your career track in the future? I didn’t ask myself any of these questions. Helping people was the only concern on my mind. That’s not really a clearly defined and specific goal. Noble perhaps, but very vague. 2. How much money do you want or need to make? Yes, it is extremely important to be happy in your career. And yes, it’s extremely important to analyze the income potential of your career choice. Your job will be the #1 income generator over time and it’s imperative to make enough to provide for the needs of your family. So what are the future earning projections for the field you are considering? Are the jobs even in demand in that field? How quickly will your income rise and what will you do to bring in those monetary benefits? Will it require some continuing education or even pursuing an advanced degree to reach the income levels you desire? I completely wasn’t thinking about family when I chose my major. It was just excited to have an answer to the question, “So what are you majoring in?” The thought didn’t cross my mind that this career would have to provide a house, cars, food, clothing, utilities, medical expenses, more food, insurance premiums, school and sports fees, Christmas and birthday gifts and even more food for my future family. So ask, will a salary of $35,000 support a family of six? Will you be content at a $150,000 job that requires an 80-hour workweek? Will this career be flexible enough to allow your spouse to work or allow time off for kid activities? What if this career requires moving around the country. Will the family benefit from being uprooted over and over again? My initial thoughts in college were that I would love being in an office listening to and helping people with their problems all day long. As time wore on and I progressed into my graduate program, it dawned on me that type of workday did not sound appealing after all. Client after client coming in hour after hour dumping their life issues on me sounded more depressing than anything. So I changed my focus to school counseling which is how I ended up in education. That transition seemed to offer me more chance at daily variety. So how do you handle daily routines? Will you want some variety in your work? Is working indoors agreeable to you or would working under the sun be more enjoyable? How do interact with others? Will you want a career focused on people or something sitting behind a computer or phone all day? How do you handle and manage stress? Are you an extravert or an introvert? A lead dog driver or a loyal supporter? Most people probably start here. I did as well, but didn’t pursue it with enough fervor. All I knew is that listening was one of my skills and thought that would be enough. There are many ways to discover what you might like or what you are already good at. Family and friends can usually serve as a good resource. So ask them what they see in you that is valuable. (Be careful here though, because family and friends may have ulterior motives for the advice they give.) Perhaps a mentor could also help evaluate areas of strength. Doing volunteer work or internships could also help diagnose a specialty or expose deficiencies not before considered. There are also many career and personality tests that can aid in the decision. The DISC personality profile, the Strong’s Interest Inventory and Holland’s Occupational Themes (RIASEC) are some of the most commonly used. The results of these types of tests could encourage or dissuade a person from going in a certain career direction. Is it possible to earn a master’s or a graduate certificate in the future? This is an important question to ask because it might become necessary to upgrade your education to increase your earning potential. If you are already working in your desired industry, you might want to upgrade your education online, so it is worth looking at the availability of online advanced degrees in your area of study. Being able to learn off-campus allows you to continue working full time while you maximize your career potential with an additional degree. This post was full of questions to get your thinking process started on how to choose a career. I can’t give concrete answers…only you have those. They might not come easily but the time given to this process will prove invaluable. Questions: What career advice would you give your 18-yr. old self if you could go back and tell them how to choose a career? Anyone taken the DISC and care to share your personality type? I’m a high SC. 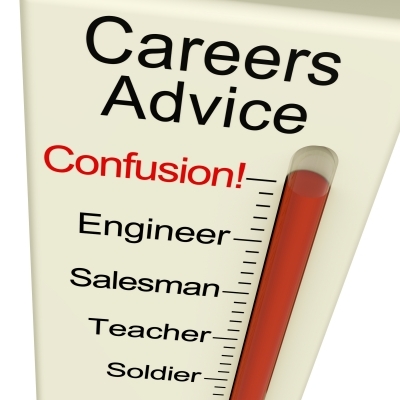 Great post about the tips of how to choose a career, it very interesting to read out the post and also very helpful. So thanks for sharing this post with us. Good Brian, you have explain it detail wise.Every one choose his/her interest as a Career.Then he/she will be much satisfied with his/her life. All great advice. It’s difficult trying to determine what you want to do with your life, when you really have no idea what a certain career choice is all about, especially 10 – 20 years down the road. You need to make sure you are doing your homework up-front. I wrote a post on my blog similar to this. You are right…so many things change in a ten year time span. Makes it nice that we have all these online university programs for those in their 30s who want to make a career change. These are great points to consider. I hastily chose my major based on my parents’ occupations: they were both accountants. I prefer finance much more, but accounting wasn’t so far off, so I’m very fortunate for that. I’ve never heard of DISC, I might have to look that up. I’m going to write a detailed post about the DISC as I think it’s a great instrument in understanding your personality and how that might link to certain careers. It certainly opened my eyes to many things I had always not quite understood about myself. Your progression sounds like an exact copy of mine. Like you, I had no idea what I wanted to do. Like you, I enjoyed “working with people”. And like you I took a psychology class I enjoyed and as a result picked it as my major. Not exactly an award-winning process, and of course now I work in software which has absolutely no relation to psychology. I think it’s really hard for a high school grad to answer some of the questions you pose here, though they are really good questions. That’s a big reason why I think taking at least a year after high school to work is a good idea. Get some experience being on your own in the working world so you at least have a little bit of context when pursuing a major. This isn’t a very popular option with most high schoolers though. It’s way tough Matt. I’ll bet if we did a poll, we would find that taking a year off is not popular among high school students because it is not popular with their parents. Parents definitely have a responsibility here to do what’s best for the kids. We can guide but we shouldn’t be pressuring them into making decisions they don’t understand or pursuing obligations they are not ready to meet. I kind of fell into my career and so far, I enjoy it. We’ll see where it takes me but I do anticipate eventually having a career change. It’s funny how that happens. I really had the same type of experience. Career changes are completely fine…they just take a lot of wisdom to do properly. Too often people rush into it and end up messing up their financial life because they didn’t plan. You mean optometry didn’t interest you? LOL! I guess I am the rare freak who knew what they were going to be from junior high on. I have no athletic or artistic talent. My brain was the only thing I had going for me, so not working in a health care field was never considered. I didn’t want to go to medical school because I didn’t want a job where I would be on call all the time, although I know now that doesn’t have to be the case. I had a good friend growing up whose Dad was an optometrist,and I won’t say I was jealous, but I really liked the lifestyle they were able to lead. My Dad ended up doing pretty well as a business owner, but he worked all the time. The optometrist I knew was home for dinner and got to go on vacations regularly. I realize now that there is lots more that goes on behind the scenes, but it seemed pretty sweet at the time. You really can’t consider all the variables when you are that young. Strangely, I also fell in love with psychology and double majored in that. It was my fall back if the optometry thing didn’t work out. I sometimes think I use it more than the optometry degree! I was really considering optometry at one point. I spent several days in high school shadowing one and thought it looked interesting. Like you, I didn’t want to and didn’t think I could do med school and that seemed like a flexible and less demanding medical field. I just didn’t follow through with it and eventually lost interest. Some great advice here. The key thing for me is really thinking about what you enjoy doing. Building a career around something that you love will mean you have more chance of progressing in that area. It would also mean that you’re less likely to want to swap careers at a later stage! I agree with your point about finding a career you love. That’s a real critical issue in my opinion…being able to be satisfied in something you spend the majority of your life doing. I think it’s incredible hard though for an 18-yr. old to really know what they will love doing. It’s just a tough place to be in at that age…being asked to basically make a life changing decision with so little knowledge and life experience. Those careers would seem to fit as active as you are. Life does seem so much clearer and decisions that much easier to make when looking backwards. I think an honest evaluation of the goals is always in order. Our culture says that you can have it all if you just work hard enough, but that is not true. If your goals are: to work one job that you love that pays around $35,000, have a large family, and have your spouse stay at home w/ the kids…then that is just not going to work. Realistically. Something there has to give and you have to prioritize. It would be very tough to have all that given the parameters you set. Maybe with one or two kids in a area of the country where living expenses are low. But it would still be tough, especially to grow much of a nest egg for retirement. My original plan was to follow in my father’s footsteps and be an oral surgeon. But that wasn’t my calling and I am very happy with where I ended up. 🙂 Figuring out who you are – career-wise – is such a complex decision. These are questions every college student should ask themselves. I’m curious Shannon, did you feel pressure to follow in your father’s profession? So many children do and then they get into careers they don’t enjoy and are not a good fit for. I was absolutely clueless as to what I wanted to do when I was eighteen. As a matter of fact I have changed my mind career wise at least three times in the past two years. I feel like I’ve finally found something that makes me happy, but it took awhile to discover. It’s interesting how the things we valued or thought important at 18 are not the same later in life. Had I known a passion for personal finance would have developed later in my life, I would have definitely gone the business or finance route. But again, no regrets…I can only move forward from where I am now. Great advice! I, too, was interested in psychology and considered myself a good listener. I minored in it once I realized that I probably couldn’t handle hearing everyone’s issues day in and day out. I don’t regret that as I also think learning about the mind and why we react to things in a certain way is very useful in other areas of life. My advice would be to take intro classes that seem appealing and then research that topic more thoroughly – where jobs are, what the jobs entail, how much they are paying, etc. to get a better feel for the industry. It is something often overlooked by college students because they’re focusing on getting through classes and sometimes not thinking about actually working in the field. Unfortunately, classroom experiences don’t always translate well to the field, which is why internships can be valuable as well. I agree with your advice E.M. about taking intro classes to gauge your interest and then delve further into the details of the career. I really didn’t do that much and try to project what my career goals would be. Plus I did nothing to gain experience in the field like doing internships or volunteering. Boy am I glad I didn’t have to wrestle with that decision. I talked with a lot of my friends about it, and it’s stunning to see how many of them totally reversed their career path during college. As for my own career, I was fascinated by computers as a freshman in high school and started my own PC repair business as a senior, so I ended up skipping college altogether to pursue a career in IT. It was a no-brainer and I’ve never regretted it. I guess the lesson would be “do what you’ve got skills in already”? That’s a real neat story Pilgrim. That was a blessing I’m sure to be that clear on what you wanted to do at that young an age. Having the skill set already made the decision easier I would imagine. It’s great when our skills match up with something we also enjoy doing that can make us money. Love the thoroughness here, Brian. I think so many people go to college just to get a degree, without thinking about what they truly want out of life, career-wise. Following a checklist like yours sure would save kids (and parents) a whole lot of cash. I think what I will want most for my kids when they enter college is some clarity in what they want to do. I’m not going to be into wasting money on a degree that leads to nowhere.